Previously known as Carlos Matias prior to 2011 season ... Pitched for Auguilas in Dominican Winter League in 2014 ... Switched from uniform No. 44 to No. 18 prior to the 2015 season as tribute to his teammate and friend Oscar Taveras who was killed in an automobile accident in October of 2014 ... Married to Laura Rivas and has two children, Kevin and Kenny ... Founded Tsunami Waves Foundation in 2015, a non-profit organization in which proceeds benefit underprivileged children in need in the St. Louis, Missouri and Dominican Republic communities ... Signed a five-year contract through 2021 with club options for 2022 & 2023 on February 2, 2017 ... Resides in Puerto Plata, Dominican Republic. Made 18 starts and 15 relief appearances over an injury-plagued season with St. Louis...Missed a total of 63 games with three stints on the disabled list: right lat strain (5/9-6/4), right oblique strain (7/20-7/29), and right shoulder strain (7/31-8/21)...Prior to the 2018 season, he'd never been on the D.L....Ended 2018 season with exactly 800 career strikeouts, and moved into 13th place all-time in Cardinals history. Fanned Milwaukee's Keon Broxton (swinging) for his 800th strikeout (9/26)...Limited the opposition to a career-low .228 average against (100-439)...Limited opposition to a .187 average (25-134) with runners in scoring-position, 5th-lowest in the NL in 2018 and 6th-lowest all-time in Cardinals single-season history. In 2015, he limited the opposition to .181 with RISP, 3rd-best in franchise history...Allowed just five home runs in 118.2 innings pitched. His 0.38 HR/9 IP ratio was the lowest in Major League baseball among pitchers with at least 115.0 innings pitched, while his .314 opponent slugging percentage was the 4th-lowest among NL pitchers...Induced team-leading 14 ground ball double plays, T14thmost in the NL. His 87 GIDP induced since 2015 rank 3rd in MLB behind Martin Perez (88) and Kyle Gibson (97)...Had most success against the NL West, going 4-0 with a 1.46 ERA (4 ER/24.2 IP), one save, and 27 strikeouts in eight games (three starts). Since 2015, ranks 1st in win pct. (.789, 15-4), 6th in ERA (2.91), and 9th in wins vs. N.L. West... Issued team-leading 60 walks, T14th-most in the NL. Co-led (Tyler Chatwood-CHI) the NL with 21 walks in June...His career-high 4.55 walks/9 IP was the 2nd-highest rate in the NL behind Robbie Ray (5.09) (min. 110 innings pitched)...Ranked T4th in MLB with 11 hit batsmen, matching his career high from 2016...Hit a batsman in a club-record seven consecutive games (9/26/17-4/26/18), T4th-longest in Major League Baseball history. Hit a career-high 3 batters vs. NYM (4/26), becoming the first Cardinal with 3 HBP in a game since Jake Westbrook (7/29/13 vs. PIT)...Led all of MLB with an 0.54 ERA in the month of April, his lowest career ERA in a single month and lowest April ERA in Cardinals recorded history (since 1900; min. 30 IP)...Logged a team-leading 18.0-scoreless IP streak (4/104/21), the 17th-longest in the NL...Pitched 8.1 scoreless innings of four-hit ball with 10 strikeouts at Milwaukee (4/4) for his 1st win of 2018 before being removed after 114 pitches in the 9th inning. CA...Recorded a pair of double-digit strikeout games, fanning 10 at Milwaukee (4/4) and 11 at Cincinnati (4/15). His 10 career double-digit strikeout games rank T4th in Cardinals history (Gibson 74, Carpenter 14, Carlton 13)...Missed 23 games while on 10-day D.L. (May 9-June 4) with a right lat strain...It was first time in his career he was on the disabled list. Was leading the NL with his 1.62 ERA at the time of going on the disabled list...Activated (6/5) and was 3-4 with a 5.32 ERA (45.2 IP/27 ER), 26 walks and 42 strikeouts in his next nine starts...Made his first start since coming off the D.L. (6/5) vs. MIA and managed to pitch 4.0 innings. Walked 5 in that game, but also fanned 5 & moved past Chris Carpenter (356) for 4th all-time in career strikeouts at Busch Stadium III with 359. Failed to work into the 5th inning (13 outs or more) for the first time since May 14, 2016, ending his streak of 65 consecutive starts having done so...Walked five or more batters in three straight starts (June 5-16), first time by a Cardinal since 2005 (Jason Marquis)...Snapped three-game losing skid with his 50th career win (6/26) vs. Cleveland, becoming the 10th-youngest Cardinal to reach the 50-win milestone (since 1900)...Came away with his second straight losing start in the second half opener at Chicago (7/19). Five of his six runs allowed came in the 5th inning as the Cubs overcame a 3-1 deficit. Placed on the 10-day DL the following day (7/20) with a right oblique strain...Activated from the DL (8/21) and appeared exclusively in relief to end the season...Was 2-0 with a 1.47 ERA (18.1 IP), five saves, and 19 strikeouts in 15 appearances, with a slash-line of .177/.297/.226...Twelve of his 15 appearances were scoreless. Pitched multiple frames five times...Retired his first batter faced in 12 of 15 outings, and stranded all six of his inherited runners...Converted all five saves in five opportunities in September, T6th-most in the NL during the month...Celebrated his 27th birthday (9/21) by notching his 4th save in four attempts, striking out a pair...Pitched 2.0 scoreless innings for the win in St. Louis' 5-4 walk-off victory over San Francisco (9/22), striking out three (38 pitches)...Pitched on consecutive days five times in relief...Since 2012, is one of eight pitchers with 100 or more starts and 90 or more relief appearances: Hector Santiago, Bud Norris, Jorge De La Rosa, Travis Wood, Jordan Lyles and Trevor Cahill...Since 2016, ranks 4th among pitchers with 33 hits (Max Scherzer-40, Zack Greinke-39, Patrick Corbin-34) and T3rd with 21 RBI (Adam Wainwright is first with 30)...Ranked T14th in hits (8) among pitchers in 2018. Five hits came over a seven-game stretch (6/10-7/13)...Hit his first career home run (5/2) vs. the White Sox at Busch Stadium, a solo shot off Lucas Giolito...Was the first Major League player to homer with the name of Carlos Martínez since Jose Martínez's father, Carlos, homered off Derek Lilliquist at Boston (6/6/1995) while with the California Angels. Established career-bests in starts (32), innings pitched (205.0), strikeouts (217) and opponent batting average (.232) in the first year of a five-year contract extension signed before the season ... Selected to the 2017 National League All-Star team by player vote, the second of his career (2015, Final Fan Vote) ... Joined Dizzy Dean (1934) as the only two Cardinals with 4 strikeouts in an All-Star Game ... Ranked among National League leaders in shutouts (2, 1st), batters faced (858, T1st), innings (2nd), strikeouts (4th), quality starts (20, T4th), starts (T5th), opponent batting average (8th), SO/9 IP (9.53, 9th), H/9 IP (7.86, 9th), WHIP (1.22, T10th), and ERA (3.64, 14th) ... Also ranked in the Top 10 among N.L. pitchers in opp. OBP (.302, 10th), baserunners/9 IP (11.33, 10th) and walks (71, T7th) ... His 217 strikeouts were the 9th-highest single-season total in Cardinals history and most by a Dominican-born pitcher in Cardinals history, besting Jose DeLeon's 208 in 1988 ... Became the 7th Cardinal to reach the 200 strikeout plateau, joining Bob Gibson (9x), Adam Wainwright (3x) Jose DeLeon (2x), Chris Carpenter (1x), Steve Carlton (1x) and Sam Jones (1x) ... Joined Steve Carlton (24 yrs in 1969) as the only Cardinals pitchers age 25 or younger to reach 200 strikeouts in a season ... Sported five double-digit strikeout games (7th, N.L.) and has 8 in his career, T6th most among Cardinals pitchers since Division Play began ... Led the league in shutouts (2) and pitched 9.0 scoreless innings on a league-leading three occassions (5/20 vs. SF, 6/10 vs. PHI & 9/4 at SD); 5/20 game went extra innings to negate chance at shutout ... Led St. Louis (T3rd N.L.) with five starts of 8.0 or more IP (4-0, 0.63 ERA), 11 starts (T8th N.L.) of 7.0 or more IP (6-1, 1.26 ERA) and 23 starts of 6.0 or more IP (12-3, 2.60) ,with 20 quality starts ... Compiled 12 straight starts (4-27-6/27) of at least 6.0 innings, tying himself with Lance Lynn for the 3rd-longest streak in the N.L ... His 52.0 ground ball percentage ranked 3rd in the NL. Induced team-leading 21 GIDP (T8th) and was 10th in the NL in GIDP/9.0 (0.92) ... Excelled vs. right-handed batters, ranking 7th among National League pitchers in both opp. BA (.204, 81-398) and opp. OBP (.264) (both career bests). His opp. AVG was the 15th-lowest single-season mark all-time in Cardinals history, while his opp. OBP ranked 17th ... Limited the opposition to .205 average against (33-161) w/ runners in scoring position, 4th-lowest in N.L. Had .178 mark (13-73) RISP w/2 outs ... Yielded a career high 27 home runs, T9th-most (Lance Lynn) in the National League (28 combined in previous two seasons) ... Sported a 5.34 ERA (32.0 IP/19 ER) in the first inning of his starts; 11 of his 19 runs allowed in 1st inning came via home runs (6) ... Attempting basestealers were successful on 4 of 8 attempts while on the mound; his .500 pct. was T6th-best among qualified N.L. pitchers ... Finished T1st among MLB pitchers in RBI (11, Wainwright), T2nd in doubles (3), 6th in hits (11) and T6th in runs (5). Since 2016, his 25 hits co-led all pitchers (Jake Arrieta), while his 17 RBI were T2nd behind Adam Wainwright (29) ... Committed four errors, tied for most among pitchers in the N.L. (three others) ... Was 1-1 with a 4.25 ERA (29.2 IP/14 ER) in five starts vs. division-winning Chicago (St. Louis was 4-1 in those starts and just 1-13 in 14 starts made by all other Cardinals) ... Made first career Opening Day start in 4-3 win vs. CHI (4/2), walking none while posting his 4th career double-digit strikeout game (10) ... Joined Bob Gibson as the only two Cards pitchers to throw 7.0 IP with at least 10 strikeouts on Opening Day. Was also the first in MLB since Felix Hernandez vs. LAA and Johnny Cueto vs. PIT (4/6/2015) ... Became the youngest Cardinal to start Opening Day since 24-year-old Joe Magrane in 1989 (also started 1988 and 1990 ODs). Was also the first Opening Day start by a Dominican-born Cardinals pitcher since Joaquin Andujar (4/9/85 at the New York Mets) ... Took a loss in 4/15 start at NYY, allowing 3 R (2 ER) on 4 H while walking career-high 8 & striking out 11 in 5.1 IP (118 pitches). Two of the three runs scored on a wild pitch & his throwing error home ... Joined "Wild" Bill Hallahan (1930, twice) as the only Cardinals pitchers in history to strike out 11 and walk 8 in a start. Was the 27th pitcher in MLB history to do so, and first since Randy Johnson (1993). He became the first pitcher in 60 years to record at least six strikeouts and six walks in the first two innings of a game (Elias) ... Fanned Blue Jays' Kevin Pillar (swinging) for his 500th career strikeout (4/27) ... Finished May 4-1 with a 2.03 ERA (44.1 IP/10 ER), 41 strikeouts and .170 opp. AVG...both his ERA and opp. AVG ranked 2nd in the N.L ... Recorded stellar pitching performance in 5/20 outing vs. SF, hurling a career-high 9.0 shutout innings in a no-decision in St. Louis' 13-inning, 3-1 loss at Busch Stadium. Allowed a pair of singles, walked one and struck out five with 93 pitches (65 strikes) ... Became the first Cardinals starter since Matt Morris (5/2/2004 vs. CHI) to throw 9.0 scoreless innings and not earn a win (St. Louis was 7-0 when receiving 8.0 or more IP in his starts prior to outing.) ... Struck out eight or more batters in five straight starts (5/26- 6/16); was the first Cardinals pitcher since Chris Carpenter (6/8-7/1/05) to do so ... Allowed one run over 8.0 innings in his 4th win of the season, 2-1 vs. LAD (5/31). Allowed 4 hits, walked 3 and struck out 9 (106 pitches) ... Hurled first career complete-game shutout in 7-0 win vs. PHI (6/10), striking out 11, walking one and allowing only four hits (107 pitches) ... Hurled N.L.-leading 2nd shutout of the season, a 2-0 win at SD on Labor Day (9/4). Allowed 3 singles and 3 walks while fanning 10 in 109 pitches (76 strikes)...did not permit a baserunner to reach 2nd ... Allowed career-high-tying 7 runs in 5.1 IP in 8-2 loss at CHI (9/15). Exited with bases loaded and STL trailing 4-2 during a 7-run Cubs rally ... Became the 22nd Cardinal in history to win a start on his birthday (9/21) in a 8-5 win at CIN. Scattered 9 hits for 4 runs in 6.1 IP with 6 strikeouts. Made career-high 31 starts and pitched 195.1 innings...Ranked 2nd among Major League pitchers with 33 double plays induced (Martin Perez, TEX, 36) and a 1.52 GDP/9 IP. Finished one GIDP shy of the franchise record set by John Denny (34) in 1978...Finished 2nd in the N.L. with a 57.7 ground ball pct., trailing teammate Jaime Garcia (57.9)...Ranked T5th in the National League in wins (16), T6th in quality starts (20), 9th in ERA (3.04), 10th in innings pitched and 12th in average against (.233)...Allowed only 15 HR (4 HR vs. RHB in 334 AB) and ranked 4th among N.L. pitchers in HR/9 IP (0.69)...Led Cardinals with 14 starts of 7.0 innings or more (10-1, 1.67 ERA)...Paced MLB pitchers with 25 putouts (Mike Leake was 2nd with 24). • Ranked 9th among N.L. pitchers with a .207 Opp. BA vs. right-handed batters, while pacing the circuit in Opp. Slug (.269) vs. right-handed batters. His .269 mark was the 6th-lowest mark in Cardinals single-season history...Led Major League pitchers with an 0.67 ERA (27 .0 IP/ 2 ER) in Interleague games (four starts). His 0.67 ERA was the 6thlowest single-season mark since Interleague play began...Allowed three runs or fewer in 24 starts, T7th in the National League. • Limited the opposition to a .157 average (17-108) in the 1st inning of his starts...Led the Cardinals staff with 174 strikeouts (13th in the N.L.) and 8.02 K/9.0 IP (14th N.L. )...The Cardinals were 17-14 in his starts, including winning 10 of his final 15 outings to end the season...Ranks T4th among N.L. pitchers with a career-high 11 hit batsmen...Finished 5th among MLB pitchers with career-high 14 hits, 4th in BA (.237) and T7th with 6 RBI...Pitched 8.0 innings on four occasions, T7th among N.L. pitchers...Yielded one run or less in 13 outings, including five scoreless starts...Pitched extremely well on the road, boasting a 9-2 record in 15 starts (95.1 IP). Ranked 4th in the N.L. in road ERA (2.45) and win pct (.818) and T4th in wins (9)...Had most success against the N.L. Central, going 8-5 with a 2.85 ERA (94.2 IP) in 15 starts. Was 3-0 with 1.38 ERA and league-leading 33 strikeouts against Milwaukee (four starts)...Began season 4-0, becoming one of six MLB pitchers to win first four starts (Arrieta, Sale, Porcello, Zimmerman, Latos). His 1.93 ERA in four April starts was 7th-lowest in the N.L...Lost a career-high five straight starts from 5/1-25, logging a 6.84 ERA over 25.0 innings (19 ER), receiving just six runs of support while on the mound during those starts...Struck out 8 over 8.0 scoreless innings in 5/30 start, a 6-0 win at Milwaukee. It ended a career-high 5-game losing streak. Yielded 5 singles & induced season-best 3 double plays as no Brewer made it past 2nd base...Rebounded in June, going 2-0 with a 1.31 ERA (34.1 IP/ 5 ER) in five starts. Led N.L. pitchers in ERA, 2nd in MLB to Tigers' Michael Fulmer (0.61)...Hurled a career-high 8.1 frames in start at PIT (6/11), scattering six hits for one run (sacrifice fly) while fanning five, throwing a career high 122 pitches...Matched career high with 11 strikeouts in his 8-1 win over MIL on 7/9, his final start before the All-Star Break. Allowed one run in 5.0 innings, snapping a streak of seven quality starts. The Cardinals had lost his previous four starts (6/18-7/4) despite a 1.33 ERA (27.0 IP) over that span...Allowed 2 runs or less in eight of his final nine starts to end the season (6-2, 2.33 ERA, 58.0 IP, 62 K). Over that span (8/17- season's end), ranked T2nd in strikeouts (62) among N.L. pitchers, T3rd in wins, 3rd in ERA and innings, and 7th in strikeouts and OPP AVG (.236, 51-216). St. Louis was 7-2 in his last nine starts (both losses to Chicago)...Struck out a career-high 13 over 6.0 IP in start at MIL on 8/29, a no-decision the Cards rallied to win 6-5. The 13 strikeouts tied Jaime Garcia for most by a Cardinals pitcher in 2016 and surpassed his career-best 11 earlier in the season (also Milwaukee). • On 9/19 became the 8th pitcher in franchise history to throw only 5.0 innings and earn a win at Coors Field, joining Joe Kelly, Jake Westbrook, Todd Wellemeyer, Larry Luebbers, Kent Mercker, Manny Aybar, and Mike Morgan. Opened the season on the Major League roster for a second-straight season and was part of the team's starting core, making 29 starts (31 games)…Voted in by fans to the All-Star team as part of the Final Vote contest, his first All-Star selection. Did not appear in the game…Had his season end a week early when he had to leave the game on 9/25 vs. MIL with right shoulder tightness after seven pitches and two batters. Missed the rest of the season and postseason with a right shoulder strain…Among National League leaders ranked 10th with his 3.01 ERA, T7th with 14 wins and T6th with a .667 winning pct…Led Cardinals pitchers with 184 strikeouts (13th NL) and 9.22 K's/9 IP (10th NL)…Recorded 20 quality starts, T14th in the N.L. Posted 11 straight quality starts from 5/20-7/25, 3rd to Jake Arrieta (20) and teammate John Lackey (12) for the longest streak during the 2015 season…The Cardinals went 22-7 in his 29 starts, winning the first five, losing two, then winning 17 of his final 22...Ranked 5th in the N.L. with a 55.1% ground ball percentage and was T12th in the N.L. with his career-best 19 double plays(0.95 GDP/9 IP, 11th NL)…Led all N.L. pitchers with a 28.6% stolen base rate, allowing just 2 steals in 7 attempts…Went 4-2 with a 2.41 ERA (9th NL) in 10 day games (9 starts) and 10-5, 3.30 ERA in 21 games (20 starts) at night…Ranked 2nd among all N.L. pitchers with .181 (29-160) opponent batting average with RISP…Joined Shelby Miller (101 in 2013) on 6/28 as the only STL pitchers age 23 or younger to have recorded 100 or more strikeouts in the team's first 75 games when he fanned Chris Coghlan of the Chicago Cubs…Had a 2.55 ERA (41 ER/144.2 IP) from 5/15 to the end of the season, the 6th-lowest among all MLB pitchers…Threw 15.8 pitches/inning, 15th most among N.L. qualifying pitchers (teammates Lance Lynn ranked 1st, 17.4 & Michael Wacha was 10th, 16.2)…Made two relief appearances: Opening Day, 4/5 at CHI, where he earned a Hold with a scoreless 1.0 IP, and 7/19 vs. NYM when he pitched 4.0 innings (innings 15-18) and took the 3-1 loss in his longest career relief app. (2R, 1ER)…Blanked the LA Dodgers for 7.0 IP, allowing just one hit with 8 K's, in an emotional 3-1 win on 5/31 at Busch Stadium as the team remembered the late Oscar Taveras on the one-year anniversary of his MLB debut…Was unscored upon in three starts and went 22.1 scoreless innings between his starts 5/20 (6.1 IP, 9-0 combined shutout at NYM), 5/25 vs. ARI (7.0 IP, 3-2 10 inn. win), 5/31 vs. LAD (7.0 IP, 3-1 win) and first inning of 6/5 game at LAD (7.0 IP, 2-1 win)…Struck out a career high 11 in his 7.0 innings at LAD on 6/5…Used just 84 pitches in 4-1 win vs. CHI on ESPN Sunday Night on 6/28 as he endured two rain delays totaling 2:29. Allowed only 2 hits in 6.0 IP and K'd six…Faced off against former teammate Shelby Miller vs. ATL on 7/25 and earned the win in a 1-0 game lasting just 2:13. Pitched 8.0 innings allowing 6 hits, 1 walk and 6 K's in the shutout. The Cardinals had just 2 hits, but a single, walk, fly-out and sac fly inthe 8th pushed a run across for the win. Opened the season on the Major League roster for the first time and appeared in 57 games, starting seven. Was optioned to Memphis (AAA) 7/31-8/17, where he made two starts (10.1 IP)...Was 0-3 with a 3.79 ERA in 50 relief appearances (57.0 IP). Pitched a season and career high 2.2 innings of relief 6/1 vs. SF...Made 14 straight scoreless appearances (8/22-9/23) before allowing a run at CHI on 9/24, spanning a career-high 16.1 IP...Earned his first save of 2014 in the final game of the regular season at ARI (9/28); had one previous save on 9/20/13 at MIL...Inherited 26 runners and allowed only 3 to score (11.5% IRS)...Made seven straight starts between 6/16 and 7/20 and went 2-1 with a 4.45 ERA, posting wins vs. PHI (6/22) and at SF (7/3)...Longest start was 6.0 IP vs. PIT (7/8) in a no decision...Struck out a season-high six batters in each of his back-to-back starts 7/3 at SF & 7/8 vs. PIT...Had two singles in his start at LAD 6/27 in STL 3-1 win, a game in which he collected the most hits...Tallied his first Major League RBI with a two-RBI single to left field at SF (7/3), scoring Mark Ellis and Jon Jay...Made two starts during his return to Memphis, allowing no runs in 4.1 innings at Round Rock and no runs over 6.0 innings vs. New Orleans. Fanned seven and walked just one...Made four appearances, all in relief...was 0-0 with a 2.25 ERA over 4.0 innings...had scoreless outings in 3- of-4 appearances...Earned a Hold in Game 1 of National League Division Series at LA (10/3), allowing one run in 1.1 innings of relief, his longest outing of the postseason...appeared in 3-of-5 NLCS games vs. SF and did not allow a run. Pitched at three levels in 2013; Springfield (AA), Memphis (AAA) and St. Louis (MLB)... Began the season at Springfield (AA) before a call up to St. Louis from Memphis (AAA) making his Major League debut at MIL (5/3), tossing a scoreless inning... Made 21 appearances with one game started in St. Louis. Was recalled five times throughout the season... His one start was vs. LAD (8/8), taking loss in 4.2 innings, allowing four runs; three on his final batter, a 3-run HR to A.J. Ellis. It was his only HR allowed in MLB (28.1 IP)... First MLB win came in relief vs. CIN (8/26) with 2.0 innings pitched, backed by an Allen Craig grand slam in the 7th inning... Earned two wins, both in relief vs. CIN (8/26 & 9/4) in back-to-back appearances... Earned his first professional save, working a scoreless 10th inning at MIL (9/20)... Was 1-0 with a 3.48 ERA in nine September appearances, with 10 K in 10.1 IP... Went 5-3, 2.51 ERA in 13 starts (68.0 IP) with Memphis and 1-0 with a 2.31 ERA in three starts (11.1 IP) at Springfield... Struck out a season-high nine batters in a no decision at New Orleans (8/29) in an important division race game for Memphis, tossing 7.0 innings allowing one run... Held right-handed batters to a .168 BA (19-113) at Memphis... Named Cardinals organization Minor League Pitcher of the Month for June posting a 2-2 record with a 2.20 ERA and 30 strikeouts in 32.2 innings covering six starts... Rated as the second-best prospect in the Cardinals organization by Baseball America, as well as the "Best Fastball" and "Best Slider" in their "Best Tools" survey... Pitched for Aguilas during Dominican Winter League season... Tied Julian Tavarez (CLE, 1995) for most postseason appearances by a rookie with 12...was 0-1 with a 3.55 ERA and five Holds...his five postseason Holds were the most by a rookie pitcher since Holds were regularly kept as a stat...tied Jason Motte (2011) and Octavio Dotel (2011) for most appearances during the World Series in Cardinals franchise history...picked off Nick Punto in Game 4 of NLCS (10/15), a critical play in the 7th inning to end Dodgers rally...made two appearances of 2.0 innings, both were Holds coming in wins in Game 4 of NLCS at LAD and Game 2 of World Series at BOS (10/24)... was unscored upon in four NLCS appearances, earning two Holds, and allowing only two baserunners on a double and a walk. Made 22 appearances with 21 starts between Advanced-A Palm Beach and Springfield (AA)...recorded nine quality starts... Held opponents to three earned runs or less in 20 of 21 starts...was hit for four runs or more twice (vs. Jupiter 5/14 and at San Antonio 8/16)...ranked third among Cardinals minor league pitchers with a 2.93 ERA and .236 opponent batting average...threw 7.0 scoreless innings with seven strikeouts in Game 1 of the Texas League Championship vs. Frisco (9/11). Was 1-0 with a 4.91 ERA in two postseason starts...made only career relief appearance vs. Arkansas (9/1) tossing a scoreless inning...rated as the third best prospect in the Cardinals organization by Baseball America and the "Best Curveball" in the Cardinals organization for the second straight year in their "Best Tools" survey. Made 18 starts between Class-A Quad Cities and Advanced-A Palm Beach totaling 84.2 innings...all three wins at Quad Cities were scoreless starts of 5.0 innings or more...started game at Busch Stadium vs. Kane County (5/26) allowing one run over 5.0 innings in a loss...had eight starts with seven or morestrikeouts...totaled six quality starts...allowed three earned runs or less in 13 of 18 starts...was named to World Team roster for the Futures Game at Arizona's Chase Field...named the second best prospect in the Cardinals organization by Baseball America...rated as the "Best Curveball" in the Cardinals organization by Baseball America's "Best Tools" survey. Led the Dominican Summer League with an 0.76 ERA (5 ER/59.0 IP), and was tops in lowest opponent BA (.144), strikeouts/9 IP (11.9) and WHIP (T1st, 0.71)...led all Cardinals minor league pitchers in ERA, opponent batting average and WHIP, while ranking in the Top 10 in strikeouts/9 IP (2nd, 11.89), strikeout-to-walk ratio (3rd, 5.57) and toughest to homer off (4th, 228-1)...named third-best prospect in the Cardinals organization by Baseball America. 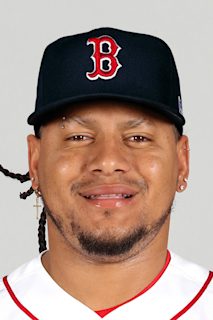 March 25, 2019 St. Louis Cardinals placed RHP Carlos Martinez on the 10-day injured list. Right shoulder cuff strain. August 21, 2018 St. Louis Cardinals activated RHP Carlos Martinez from the 10-day injured list. August 17, 2018 St. Louis Cardinals sent RHP Carlos Martinez on a rehab assignment to Springfield Cardinals. July 31, 2018 St. Louis Cardinals placed RHP Carlos Martinez on the 10-day disabled list. Right shoulder strain. July 30, 2018 St. Louis Cardinals activated RHP Carlos Martinez from the 10-day disabled list. July 21, 2018 St. Louis Cardinals placed RHP Carlos Martinez on the 10-day disabled list retroactive to July 20, 2018. Right oblique strain. June 5, 2018 St. Louis Cardinals activated RHP Carlos Martinez from the 10-day disabled list. May 31, 2018 St. Louis Cardinals sent RHP Carlos Martinez on a rehab assignment to Springfield Cardinals. May 10, 2018 St. Louis Cardinals placed RHP Carlos Martinez on the 10-day disabled list retroactive to May 9, 2018. Right latissimus strain. November 2, 2015 St. Louis Cardinals activated RHP Carlos Martinez from the 60-day disabled list. November 30, 2014 RHP Carlos Martinez assigned to Aguilas Cibaenas. August 17, 2014 St. Louis Cardinals recalled RHP Carlos Martinez from Memphis Redbirds. August 1, 2014 St. Louis Cardinals optioned RHP Carlos Martinez to Memphis Redbirds. December 5, 2013 RHP Carlos Martinez assigned to Aguilas Cibaenas. September 3, 2013 St. Louis Cardinals recalled RHP Carlos Martinez from Springfield Cardinals. September 3, 2013 Carlos Martinez roster status changed by St. Louis Cardinals. August 30, 2013 Carlos Martinez assigned to Springfield Cardinals from Memphis Redbirds. August 28, 2013 St. Louis Cardinals optioned Carlos Martinez to Memphis Redbirds. August 23, 2013 St. Louis Cardinals recalled Carlos Martinez from Memphis Redbirds. August 10, 2013 St. Louis Cardinals optioned Carlos Martinez to Memphis Redbirds. August 8, 2013 St. Louis Cardinals recalled Carlos Martinez from Memphis Redbirds. July 25, 2013 St. Louis Cardinals optioned Carlos Martinez to Memphis Redbirds. July 11, 2013 St. Louis Cardinals recalled Carlos Martinez from Memphis Redbirds. May 27, 2013 St. Louis Cardinals optioned Carlos Martinez to Memphis Redbirds. May 3, 2013 St. Louis Cardinals selected the contract of Carlos Martinez from Springfield Cardinals. April 1, 2013 Carlos Martinez roster status changed by Springfield Cardinals. January 28, 2013 St. Louis Cardinals invited non-roster RHP Carlos Martinez to spring training. June 15, 2012 RHP Carlos Martinez assigned to Springfield Cardinals from Palm Beach Cardinals. May 19, 2012 Carlos Martinez roster status changed by Palm Beach Cardinals. April 2, 2012 RHP Carlos Martinez assigned to St. Louis Cardinals. August 28, 2011 Palm Beach Cardinals activated RHP Carlos Martinez from the 7-day disabled list. August 23, 2011 Palm Beach Cardinals placed RHP Carlos Martinez on the 7-day disabled list retroactive to August 19, 2011. June 27, 2011 RHP Carlos Martinez assigned to Palm Beach Cardinals from Quad Cities River Bandits. May 7, 2011 Carlos Martinez assigned to Quad Cities River Bandits from DSL Cardinals. May 27, 2010 DSL Cardinals signed free agent Carlos Martinez.